At the time I wrote the original post (CLICK ME!,) the slime trend was relatively new, but was growing exponentially in popularity every day. Many people still didn’t understand that at the core of this trend were neurodivergent individuals and stimming. And I don’t know if anyone expected the trend to last, or to take off like it did. Of course, much more has changed with this trend in the last 2 years. 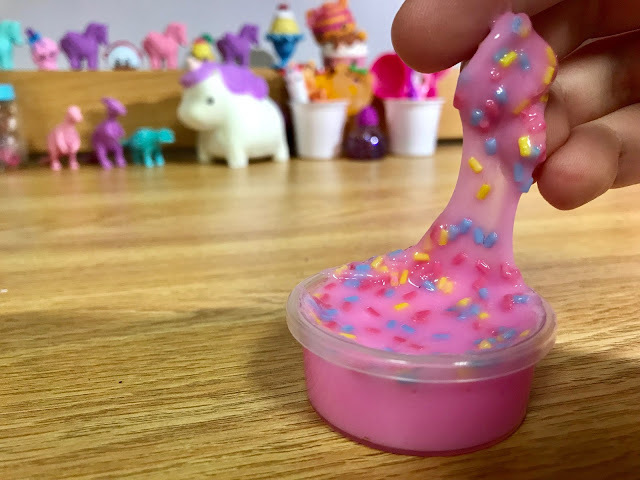 2 Years Ago – Slime was mostly handmade, or if it was store-bought it was a more watery slime that doesn’t look like the “Instagram-worthy” handmade slime. Now- Children’s toy companies have incorporated slime into almost everything. A great example of this is Num Noms toy brand. 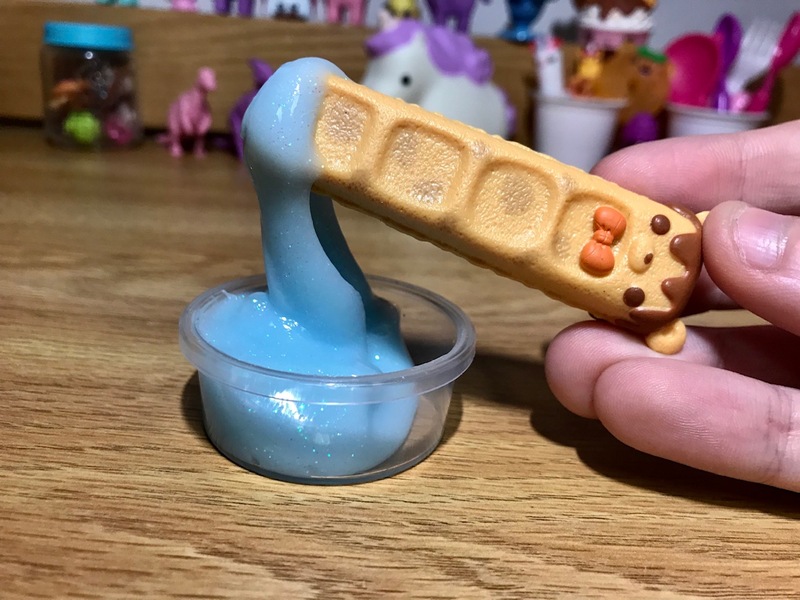 They released Num Noms Dippers and Num Noms Shakes, two children’s toys centered around slime. The shakes have 3 layers of different types of slime, and the dippers have one, waterier, “dipping sauce” slime. It’s amazing to me that slime has taken off so much that brands like this are now selling good quality slime in stores. 2 Years Ago – There was a distinct lack of sensory items in stores. Now- Stimming is everywhere. Chewing necklaces in all sorts of very cute designs are available more easily and for more affordable prices. (I remember getting my first “chewing necklace,” about 3 years ago, I had to buy a teething necklace because there weren’t easily available chewing necklaces. Now, we have amazing stores like Stimtastic, who sell all sorts of stims, including Chewing Necklaces!) Other sensory items like mermaid pillows were developed and became “trendy.” Now, it’s hard to go into a store like Target or Walmart and NOT find something that could be used to stim. It’s fabulous how accessible stimming has become. 2 Years Ago - Stimming was new to everyone, and nobody really understood it. Now- While people may not understand the nuances of stimming, or the source of this “trend,” it’s become more acceptable. It was growing in acceptance back when I wrote the original Slime Trend post, and it’s great to see how far acceptance of stimming has come. Unfortunately, there’s still a stigma on less “aesthetic” or “trendy” stimming methods like hand flapping and rocking. But other types of stimming like chewing, for example, have become more acceptable. If I had to choose one accomplishment of the Slime Trend to highlight, it would have to be the fact that this trend has exploded the demand for more sensory products like mermaid pillows, orbeez, squishies, fidget cubes, kinetic sand, and of course, more demand for slime. Just like I praised it for two years ago, I am so grateful that this trend took off, because it led to this boom in stimming popularity. I only hope that this part of the trend continues to rise. It would be lovely to see other types of stimming become “normalized” like slime did. 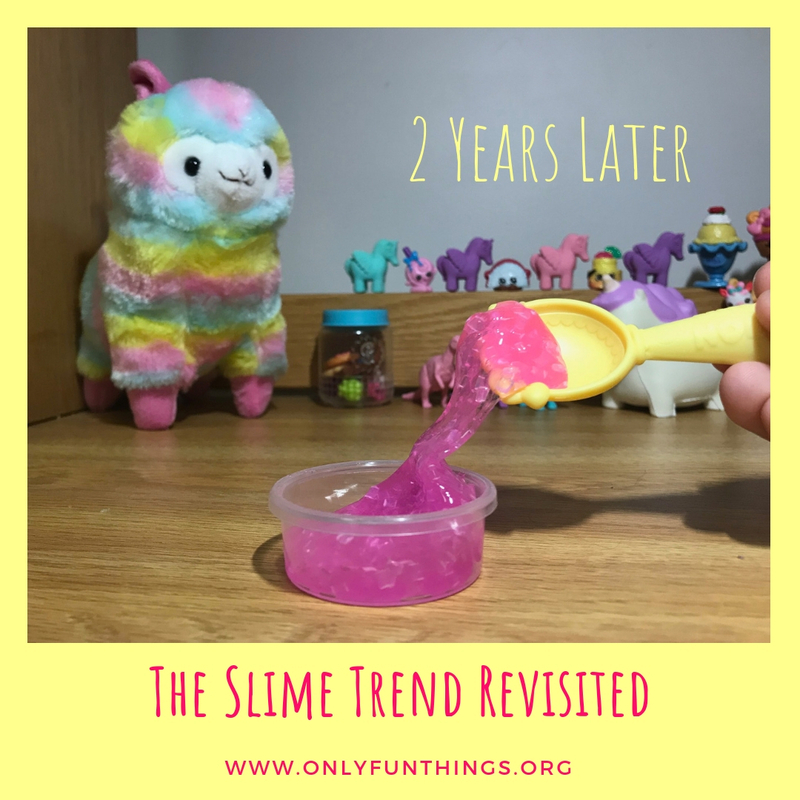 If you’d like to see an explanation on what stimming is, or an analysis of the origin of the Slime Trend, please check out the post from two years ago (Click me!) 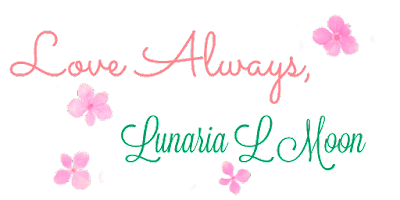 I even updated the images of that post recently, so please check it out! To see another perspective on the stimming trend (to see how making these habits “trendy” can actually hurt neurodivergent individuals), click HERE! So now I want to ask you: What do you think of the slime trend? Do you think it’s a good thing? If you had to highlight one accomplishment from this trend, what would you choose? 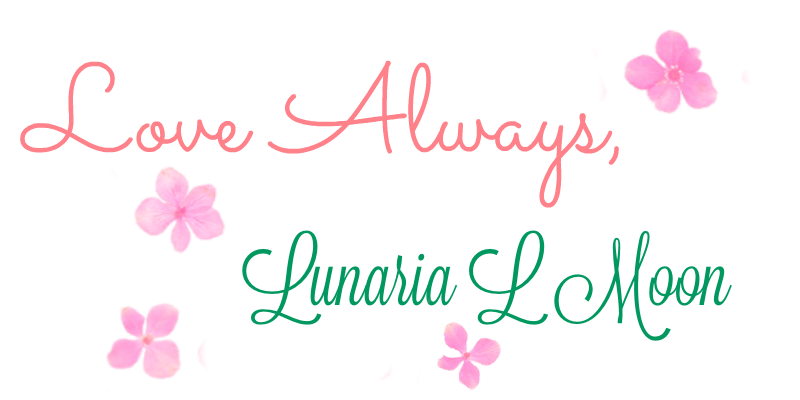 If you want some cool merch with our logo on it as well as other gear, check out our Redbubble!